Q: Many collectors are continuing to experience less than satisfactory dealings with Digital River. Dealing with their support is often and confusing and frustrating, and it can take several attempts to resolve an issue. Does Mattel feel that using Digital River is helpful to Mattycollector's reputation? One of the reasons that has been given is the low cost of international shipping with DR - is there any scope for asking international collectors if they'd be prepared to pay a bit more for better service? I know this international collector would be willing! A: We are constantly working with DR to improve all aspects of the ordering process. They are well aware of all the issues customers have brought up. Q: Recently some collectors had their MOTUC Subscriptions cancelled after issues with the split payments for the Star Sisters three pack. This was obviously a wide enough issue that a special renewal page was created nd emailed out What percentage of subscribers took up the offer to return after this debacle, and how has this impacted on Club Eternia's health for 2012? What measures are being taken to avoid such issues in the future? Q: Why has there been such a long gap in reveals for Club Infinite Earths? Is Mattel aware that this lack of information, combined with the announced figures for the All Stars line, is creating concern about Club Infinite Earths amongst some subscribers? More than just a generic answer about how great Club Infinite Earths is going to be and we just have to wait, please - this is about the thoughts behind the lack of communication. Q: The Green Arrow and Red Arrow figures in DCUC Wave 20 were both excellent, but the bows with molded arrows are very limiting for display and posing. Why are other companies like DC Direct and Marvel Select able to produce regular bows and detached arrows and yet Mattel is not? Is there are scope for offering these in an accessory pack on Mattycollector or through some other avenue? A: Mattel has much higher safety standards compared to some other companies and we are required to keep arrows in the string on accessories like this or they are classified as "sling shots" which we do not sell or make. One way we have found to avoid lodging an arrow in the string is to issue just the bow without a string like we did with the MOTUC Bow figure. It is certainly something we can explore for DC figures in the future. 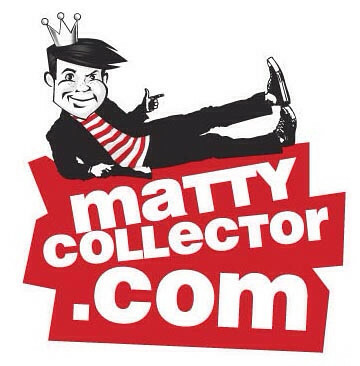 Q: How are sales of WWE items a Mattycolector going, and what does this mean for future releases? A: Very well and more figures are coming! For better or worse, that does it for another round! Have your say about these answers at the AFB Forum, or comment below to enter the February AFB Comment of the Month Contest! I got a Question for Next Months, Any Plans on making a direct to DVD Animated MOTU Classics special? Would be a great way to see new figures in animated form plus the thunderpunch heman bio makes for an epic story.